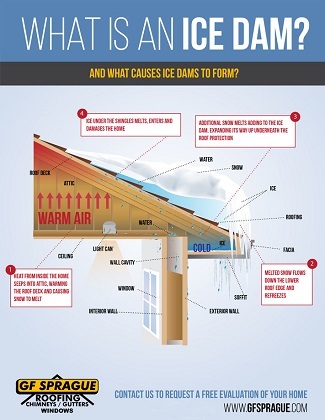 Several conditions must exist for ice dam damage to occur. 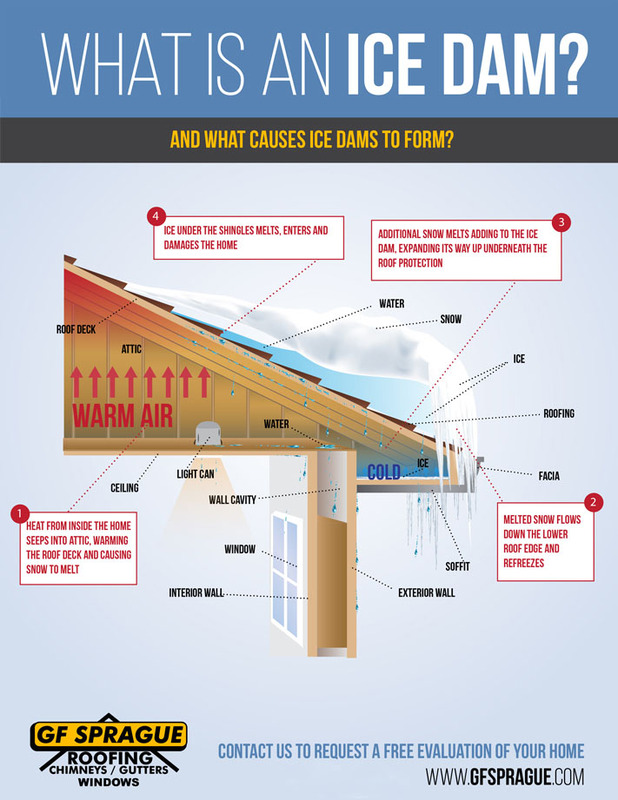 If all these conditions are present, it's likely that some water will leak into your house. Here at GF Sprague, we offer solutions to repair damage to your roof caused by ice damming, as well as prevent ice dams from forming on your roof. If you currently have an active leak, please indicate this in the Contact Form. 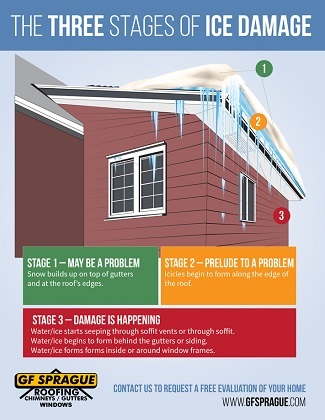 Whenever you have a new roof installed or a roof replaced, it's essential to have ice and water shield protection installed as well. At GF Sprague we always ensure that your home is receiving all the products and services it needs to keep you safe and dry. Contact us today to find out which roofing services are most appropriate for your home!